Video: Veggie Tales: “Wonderful Wizard of Ha’s”, Veggie Tales: God Wants Me to Forgive Them? Objective: God wants us to forgive others just as He forgives us when we ask. Why was the father so happy? - Place the Prodigal Son Feeds the Pigs worksheet in a jelly roll pan. Squeeze small amounts of paint on worksheet. Set a few marbles on the paper. Roll the marbles around by carefully shifting the box from side to side and forward and backward. The marbles will roll the paint around to decorate the worksheet. - Sin is disobedience to God and is the opposite of what God wants to me. It is wanting what I want over what God wants for me. Because God is perfect and without sin, our sin creates a wall in our relationship. Sin must be told to God and forgiveness needs to be asked of. Confessing sin is admitting to God that I have done wrong. The Prodigal Son admitted that what he did was wrong and in his attitude he asked for forgiveness. Because his father loved him, he gladly forgave him, and we know that God will always forgive us as well. - Teach your child to end apologies with the question "Will you please forgive me? How can I help?". 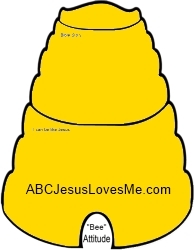 - View Veggie Tales Wonderful Wizard of Ha’s (Story of the Prodigal Son) or God Wants Me to Forgive Them? 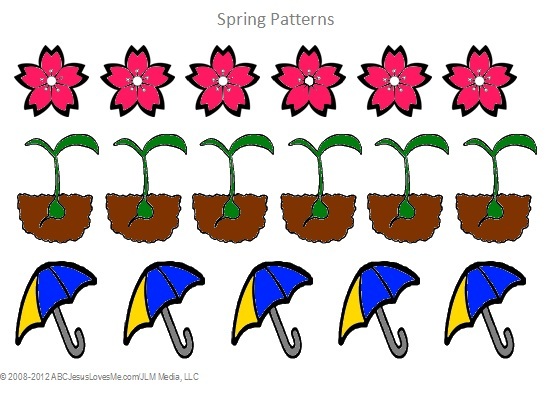 - Cut out the images on the Spring Patterns worksheet and create ABB patterns. The greatest teacher that you child has when it comes to phone etiquette is you. Children watch how you handle phone solicitors, phone calls during family time, and cell phone etiquette while driving, in crowds, and at home. Teach phone etiquette with your future teenager in mind! Say "Who is this, please?" when the child is unsure who they are talking to. Discuss what to say when a parent can not come to the phone - "My mom can not come to the phone right now. Can you please call back?" Explain the importance of speaking clearing in the phone with a moderate volume. Ask a relative or friend to call to give the child extra practice. 1. Decorate each tin can or cup. 2. Turn both cans/cups upside down. In the center of each can/cup, hammer/push a nail through the bottom to make a hole. Remove the nail. 3. Poke one end of the string through the bottom of one can/cup. Make a knot on the inside. Repeat with the other end of string in the other can/cup. 4. Have each person take a can/cup and move apart until the string is taut. Use the Yy Writing worksheet and for further learning check out the Letter Y Activities. Write numbers 0-10 on 3/4" Tracing Paper. 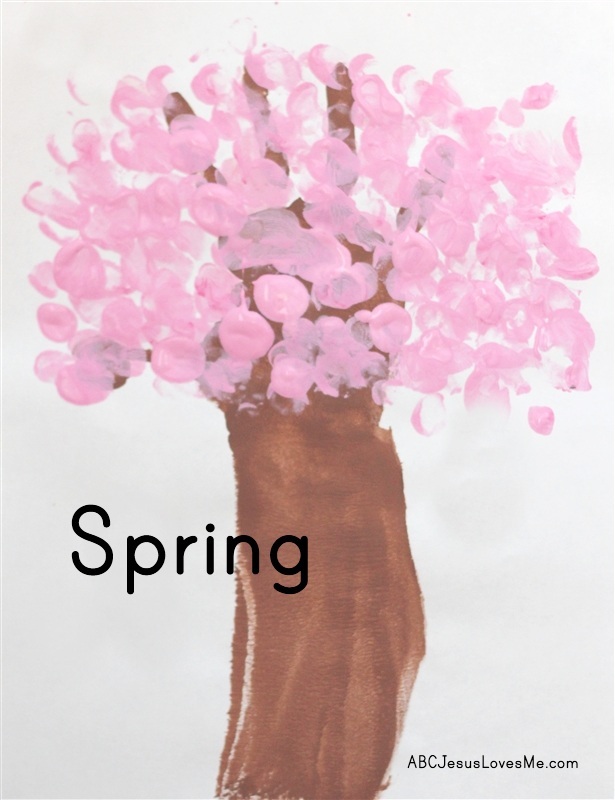 Title Page - This page includes the names of the book, author, and illustrator. Words - The letters together create words while spaces separate the words. Illustrations - The pictures in the book help you better understand what is occurring in the story. - Discuss how the bear cubs didn't tell the truth and the consequences they faced because of it. - Using teddy bears or dolls, role play situations where honesty is involved. Make "snakes" by rolling play dough and then form the play dough into letters and numbers already learned. Tie a string to the end of a beach ball and then to a higher place. Practice jumping up to hit the beach ball.